Find school closing announcements and resources for parents by visiting the Mount Vernon Public Schools website. 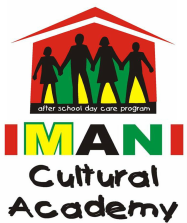 Learn more about our affiliate and a strong supporter of IMANI Cultural Academy, Greater Centennial AME Zion Church. Is your child more interested in watching TV than studying? Check out Khan Academy, a website where anyone can watch and learn at the same time!